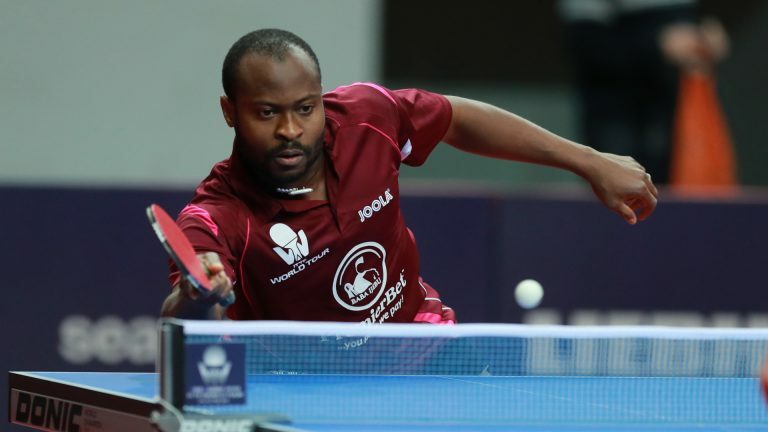 Since Segun Toriola won the maiden men’s singles title at the Commonwealth Games in Manchester 2002, Aruna Quadri will be the second Nigeria to be playing in the final of the men’s singles as he takes two-time silver medalist, Singapore’s Gao Ning on April 15 in Gold Coast Australia. Seeded number one in the men’s singles, Quadri is on the lane of another history for Nigeria as he aims to become the second player from the West African nation to win the men’s singles title of the Commonwealth Games after Toriola’s feat in 2002. Having lost twice to his compatriot in the final of the men’s singles in New Delhi 2010 and Glasgow 2014, Gao Ning will be aiming to erase the memory of the loses by clinching the title ahead of the African star. On their head-to-head record, Gao Ning has recorded two wins over Quadri with the first being at Glasgow 2014 when he defeated the Nigeria 4-0 in the round of 16 of the men’s singles, while their last meeting was at the 2016 Men’s World Cup, Saarbrucken, Germany in which the Singaporean came from 2-0 down to beat Quadri 4-3. However, things must have changed for the two players and being one of the last events of the 2018 Gold Coast Commonwealth Games, all eyes will be on the epic final. It was an imposing performances and displays of great authority in the semifinal as Quadri followed by Gao Ning emerged successful against India’s Sharath Achanta and England’s Sam Walker in same fashion. Quadri as the top seed ended India’s hope when he beat Achanta, the no.4 seed (12-10, 11-9, 11-9, 11-7); while Gao Ning, the no.3 seed, overcame England’s Walker, the no.8 seed (11-5, 11-5, 13-11, 11-4). “A great day, very happy; it’s really great to be in Australia. Today was just like yesterday when I beat Harmeet Desai, every game was close, just one or two points either way, I was lucky. If he had taken one of the games I think I’d have been finished. Sharath is a great player; he fought so hard. I only feel 50 per cent fit, I have a slight cold, a runny nose; after long rallies I have to take a deep breath. Today my forehand was strong but I think one of the main reasons why I won was because my backhand block was strong; I was able to block his top spin attacks and catch him out of positions. Now rest, I think I will take a sauna and rest, a good sleep,” said Quadri. Gao Ning said after the win over Walker, “In the third game I led 6-2, he changed his service; he served more to my forehand. The main thing today was to keep calm; at this level, a semi-final, all opponents are dangerous. My level is not quite that of 2011, seven years ago buy I’m getting there,” said Gao Ning.